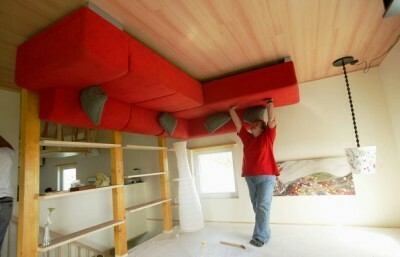 There’s An Upside Down House In Germany! 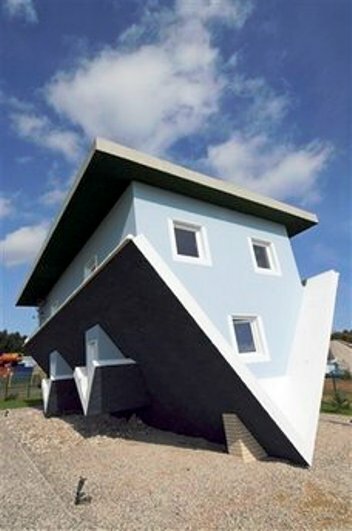 This is by far the craziest house I have ever seen. Polish-born Klaudiusz Golos said he would admit visitors to the extraordinary building from Thursday onward. It has been erected among other, more normal-looking private homes at Trassenheide in Germany’s northeast corner, just a few kilometers from the Polish border on the holiday island of Usedom. Visitors enter the 120-square-metre home through the attic and ascend to the “ground” floor. 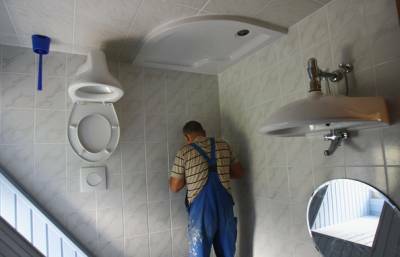 All furnishings including chairs, the fitted kitchen and the toilets are also upside down but the stairs are right-side up because visitors have to use them. Tourists on the island have been coming to see the house from outside for months during construction. To cope with the extraordinary weight of the building pressing on one point, the house was built with a steel frame. 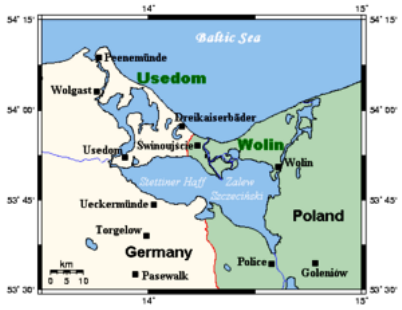 Trassenheide is a seaside resort on the island of Usedom in the state of Mecklenburg-Western Pomerania, in Germany. Trassenheide has approximately 1,000 inhabitants and the main source of income is tourism. The first documented mention of Trassenheide was in 1786, first under the designation “mutton stable”; a large sheep stable had been established to protect herds of sheep against sudden flooding by the Baltic Sea. By 1840 there were 138 inhabitants. In 1908 the colony was named “Trassenheide”. At this time tourism began. previous post: So Now You’re Famous. Can You Handle It? 50 queries in 0.767 seconds.